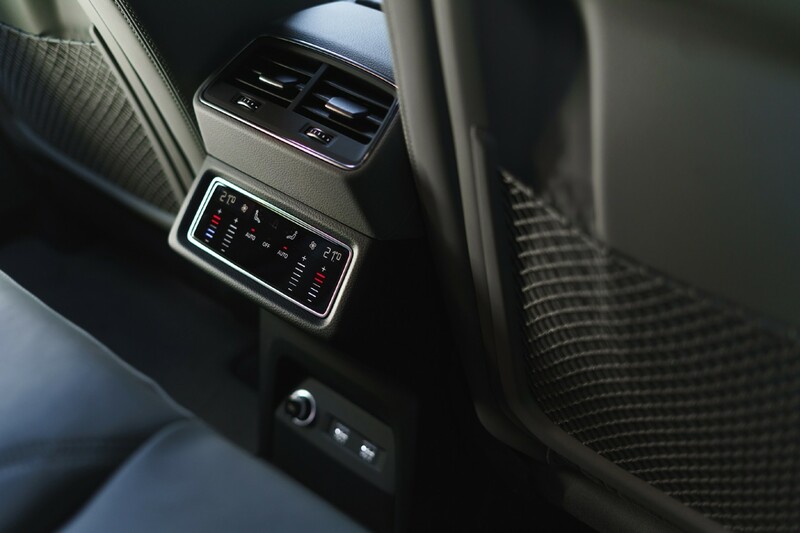 By Chris Russon on 2019-04-14 - The driving force behind Eurekar. Chris heads up a team of motoring correspondents under the Driving Force banner. Prior to Driving Force becoming independent in 2010 he was Chief Motoring Editor for Trinity Mirror Regional newspapers. Chris has been writing about cars for almost 40 years. 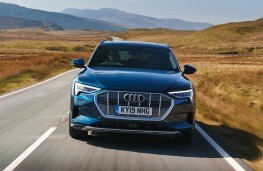 THE first all-electric Audi to hit the streets is on the way as the zero emission e-tron SUV arrives in the UK. Priced from Â£71,520 it is a car that's very much in the premier league and among electric vehicles it's up against the likes of the Jaguar I-PACE and Tesla's Model X. 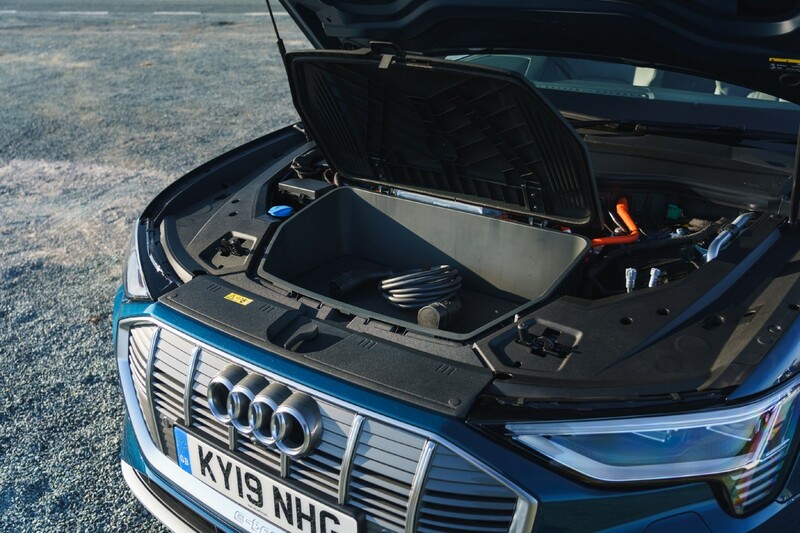 With a range of some 240 miles on a single charge, the e-tron is one of the new breed of EVs with higher powered batteries that make them credible alternatives to everyday models. Recharging to 80 per cent capacity from a fast charger takes around 30 minutes and a home charge to 100 per cent will be around 5.5 hours. In the current EV world that's quick and the e-tron is fitted with charging ports on both front wings for added convenience. 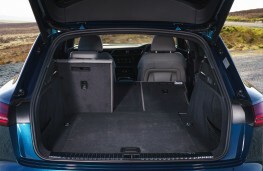 At some 4.9 metres in length the e-tron slots into the Audi SUV range between the Q5 and Q7 but comes with more luggage space than both with a 660 litre boot plus room for another 60 litres under the bonnet. 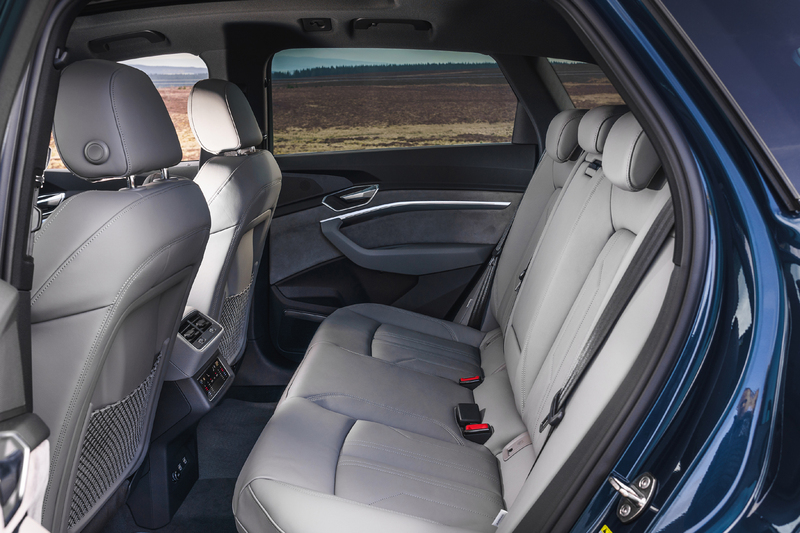 Drop the rear seats - the e-tron is a five seater only - and there's 1,725 litres available which puts it up with the biggest of SUVs. 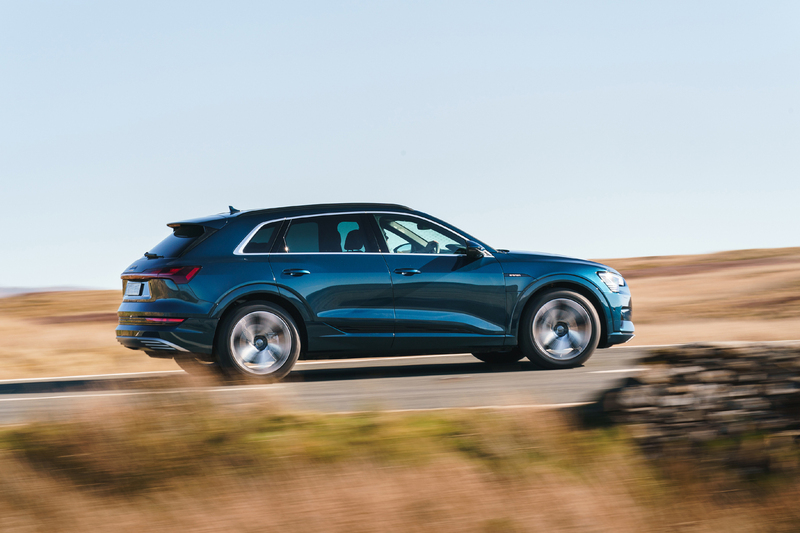 The e-tron is powered by two electric motors, one on each axle and with Audi's quattro all-wheel-drive set up there's a splendid blend of sporty agility with a modicum of soft road ability over tougher territory. Maximum power is 360ps - 408 with a boost function engaged - and that results in a brisk 5.7 seconds time 0 to 60 with a maximum restricted to 124mph. Not at all shabby for vehicle which tips the scales at almost 2.5 tonnes. 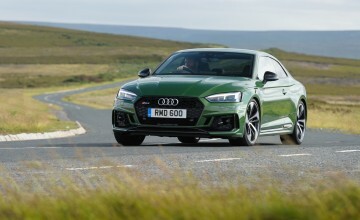 In normal set up 0 to 60 takes 6.6 seconds and for the eight seconds that the boost is available torque is also increased from 561Nm to 664 which is on the mighty side. 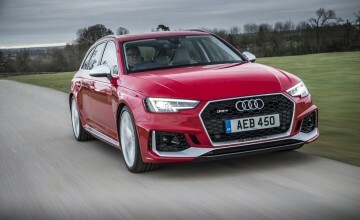 Being electric there are gears only for forwards and reverse with the paddle shifters either side of the steering wheel controlling the stages of brake regeneration through the wheels which helps charge up the batteries on the move. 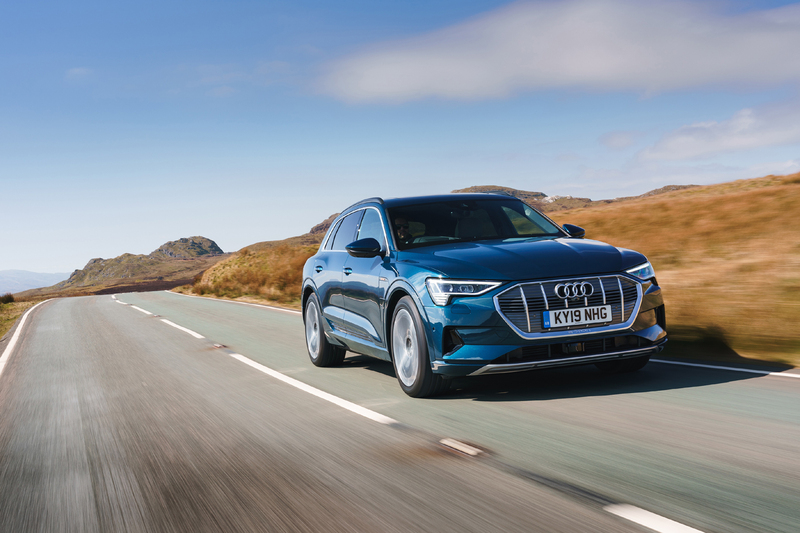 On our run in the e-tron we set out with a maximum range of 188 miles showing, covered 117 miles across the Yorkshire Dales and returned with 80 miles remaining. The trip computer showed a consumption rate of 2.3 miles per kilowatt hour - the equivalent of 79 miles per gallon - and that is quite impressive. Seven drive modes are available to get the best out of the car in a variety of conditions including off road, while options are plentiful and include a head up display, power door closure, night vision and a premium sound system. The e-tron drives incredibly well. 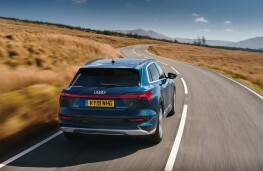 It sits on 20-inch alloys, has adaptive air suspension and handled some fairly awful road surfaces with ease. 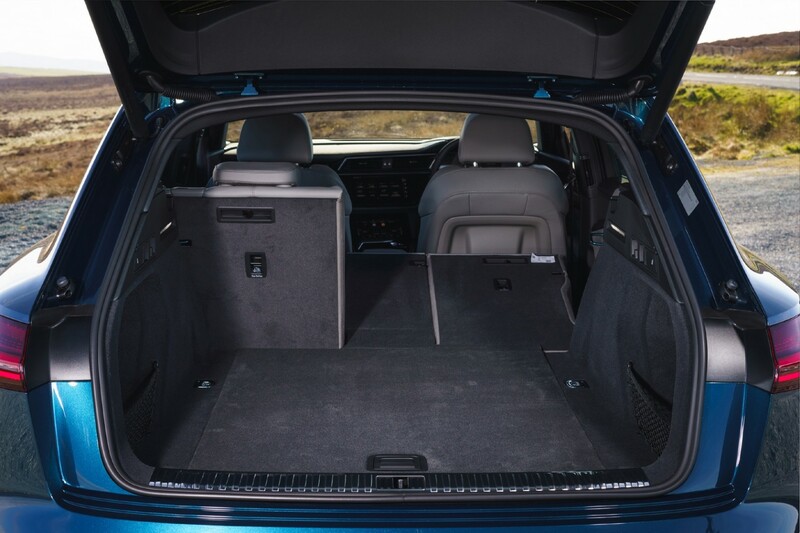 The power arrives very quickly when demanded but under all conditions the car is very quiet inside such are the levels of noise insulation. 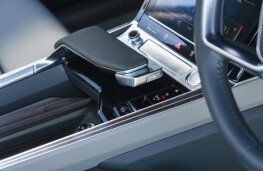 The e-tron is decked out to traditional Audi standards with onboard technology including a full array of driver and safety aids as well as the Virtual Cockpit instrument panel and twin display screens with haptic controls which eliminate almost all conventional switches. 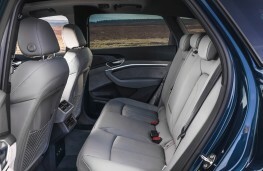 Higher grade Launch Edition versions are priced from £82,270 and as well as 21-inch rims, upgraded trim and phone operated apps to preset the air conditioning prior to a journey come with virtual door mirrors which use cameras to relay what is happening to screens mounted in the doors. The system replaces the bulk of conventional mirror housings on the doors and reduces the e-tron's drag coefficient by 0.01 to a class leading 0.27 - good enough for an extra five miles on the range apparently. 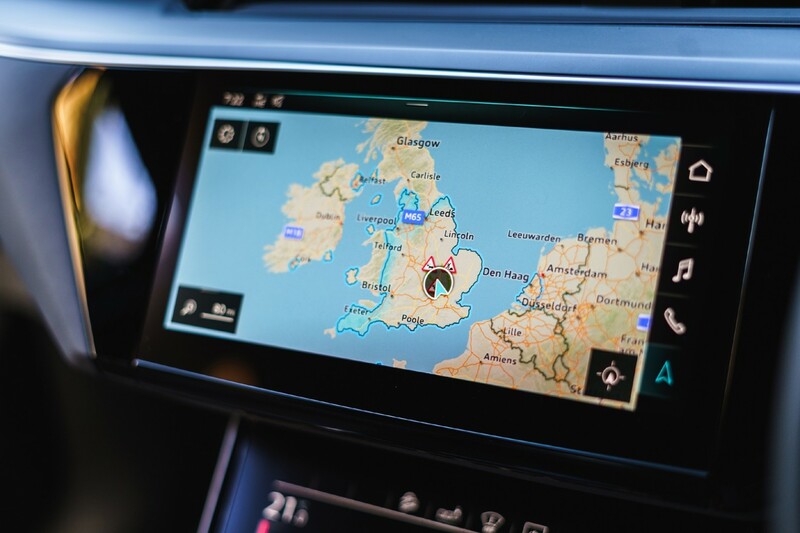 LED headlights are a standard feature and are hooked up to the navigation system to give a wider beam at junctions and switch automatically for driving overseas while scrolling indicators are another e-tron feature. 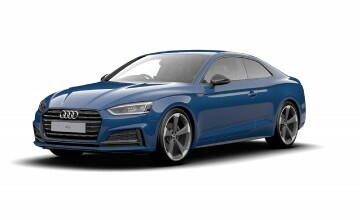 Audi has invested almost £2 billion in its electric programme which will spawn many more EVs over the coming years. Already it has announced GT and Sportback versions of the e-tron and an all-new electric Q4 showing its determination to stamp a mark on the growing appetite for low emission cars. 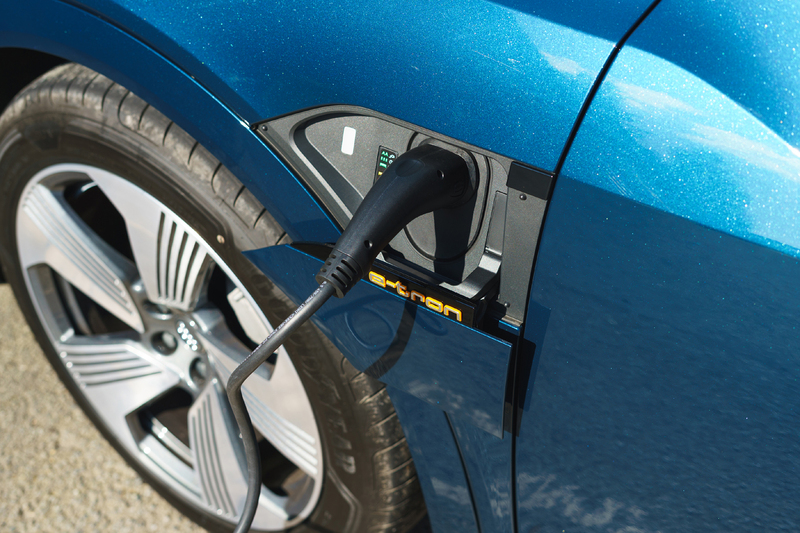 By 2025 it is promising to have more than 20 electrified models in its range and while prices may be high they can be offset through the current £3,500 government grant for such environmentally friendly cars.